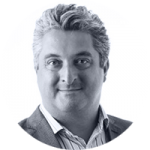 Patrick has over 20 years experience in B2B financial services media and content marketing. The majority of his career to date was spent running the financial portfolio at Centaur Media, including the market leading IFA trade publications, events, websites and research businesses. With IP Patrick created the adviser facing services Tax Efficient Briefing and Spotlights and has a focus on helping deliver relevant content to advisers. When not working Patrick is normally found on the golf course or messing about in boats.